Many of us are probably making a plumbing mistake every month that we are unsure of. 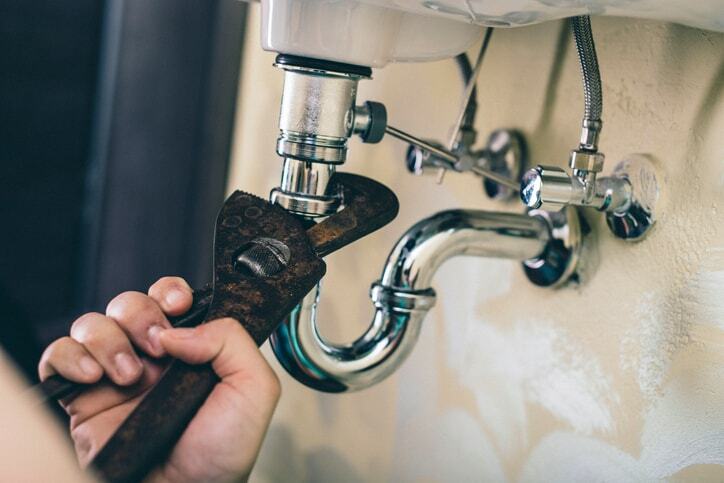 Whether it is a drain blockage waiting to happen or loose toilet parts, it could end up costing you big money when you need to call a plumber. This is a convenient way to hold a shower rack that contains your soap and shampoo, etc, but it’s important to note how much weight you are putting on it. If a relatively heavy weight stays on the fixture for too long, eventually it will snap off. You don’t want that happening in the middle of your shower! Putting too much pressure on your bathtub faucet handle or your sink handle (so that you feel like no water will drip) can be a bad thing. Avoid cranking the handle too hard because it deteriorates the inner workings of the fixture, eventually leading to problems and necessary replacement. You may be tempted to throw lots of your food down into the garbage disposal because it is convenient, but eventually over time the build up will cause the blades to get stuck and stop spinning. Use the disposal sparingly and remember that you have a trash bin for a reason. If you can avoid doing any of these mistakes it will end up savings you hundreds of dollars in the long run. There are a lot of little mistakes many of us never think we are making but it’s important that you are not ignorant of the small problems for too long, or they may end up coming back to haunt you in the future.